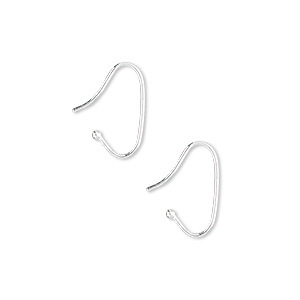 Ear wire, sterling silver, 14mm interchangeable style with 1mm ball, 21 gauge. Sold per pkg of 5 pairs. Item Number: H20-2468FD Have a question about this item? This interchangeable design allows you to change the drop or charm anytime. 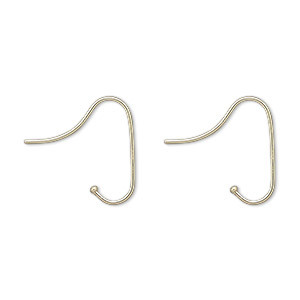 Ear wire, 14Kt gold, 16mm interchangeable hook with 1.3mm ball end, 22 gauge. Sold per pair.